DomCode is a non-profit event based in Utrecht, The Netherlands. Two tracks of local and international speakers covering modern development, hosted in a friendly environment, at a beautiful venue, for an amazing price. How Do Kids Program in the Wild? 14:35 - 15:20 How Do Kids Program in the Wild? This year's DomCode is hosted at the Centraal Museum. 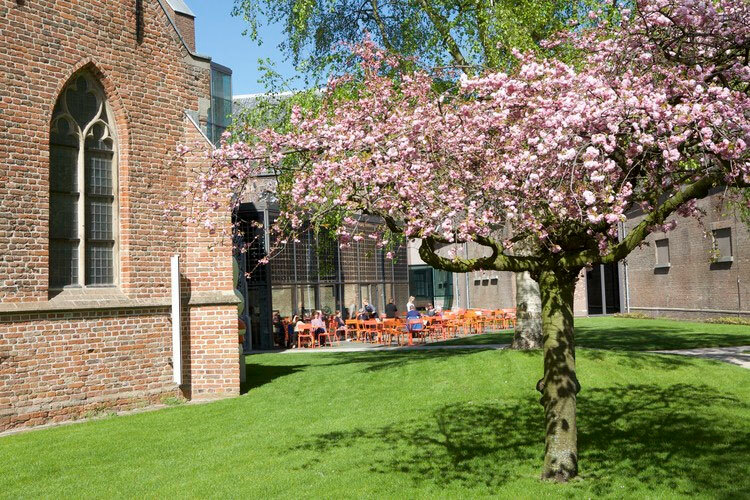 From the grand Nicolaï Church to the modern Garden Hall, the Centraal Museum offers an inspiring and accessible environment. Thanks to our friends at JCID, you can join us after the conference for an evening with your fellow attendees, organizers and speakers. We'll turn the venue upside down with board games, video games and a unique "code as art" installation. Please remember to bring your badge, as it's required to enter and claim your drink tokens. Follow us @domcode or contact us at info@domcode.org DomCode is organized by Lucas van Lierop, Aisha Sie & Ross Tuck. Copyright 2016, All rights reserved.